During an interview on US television in 1980, Richard Burton explained how his father, a coal miner from the Afan Valley near Port Talbot, talked about a particular coal seam the way other men fondly talk about women. 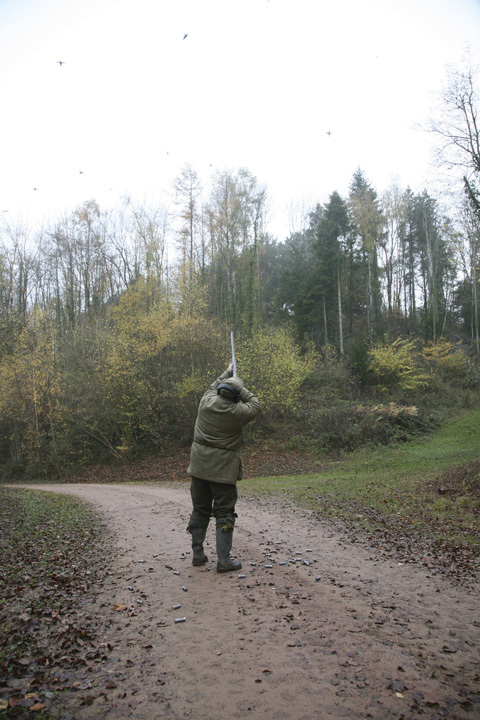 I’ve heard many a seasoned shot describe their favourite drive with affection, eyes broad and hands gesturing as they go, but it wasn’t until I visited Bishopswood Estate last winter I saw pheasant shooting that still causes my concentration to drift if I think about it for too long. The morning mist had begun to lift, albeit stubbornly, by the time I pulled off the A40 onto a road named Pheasant Rise, at Pencraig, a village some eight miles north of the Welsh border. The remaining quarter hour’s drive was routine for this part of England; old stone bridges only strong enough to hold one vehicle at a time, slopes with seven per cent gradients and tight lanes with cottages at most junctions. It is an area of unquestionable natural beauty. A glance at an aerial picture of Bishopswood reveals a scattering of woods and groves within its boundaries, and the mind wonders as to their original purpose. 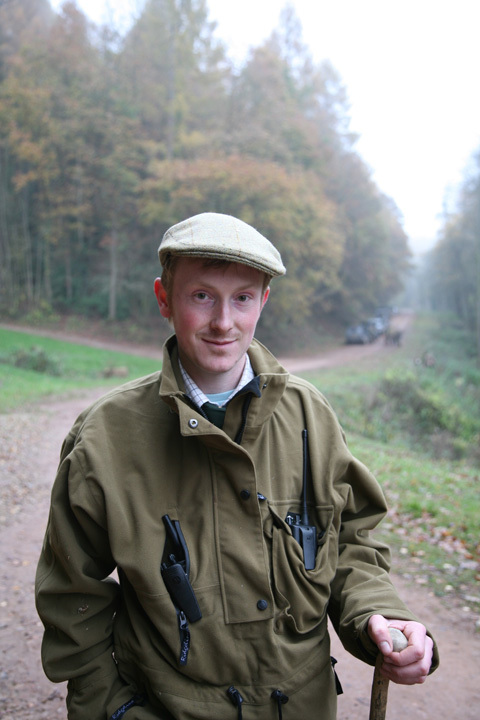 Is Pritchard’s Wood named after a former gamekeeper? Why are Wet Wood and Furnace Wood almost 1,000 yards apart? And how come Round Wood isn’t a perfect circle? Emma Sollis is, amongst other things, the head picker-up at Bishopswood. Once inside the former vicarage that is Bishopswood House I found head picker-up Emma, daughter of shoot captain Neil Sollis, a wildlife ranger with the Forestry Commission, in the Grand Hall. 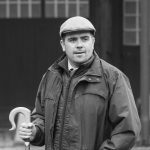 Neil has seen many changes since he first started picking-up on the shoot some 15 years ago, not least a change in ownership in 2003 when former Christie’s chairman Bill Brooks sold the shoot to Mervyn Freeman, a building contractor whose own connection with the shoot goes back to his schooldays. 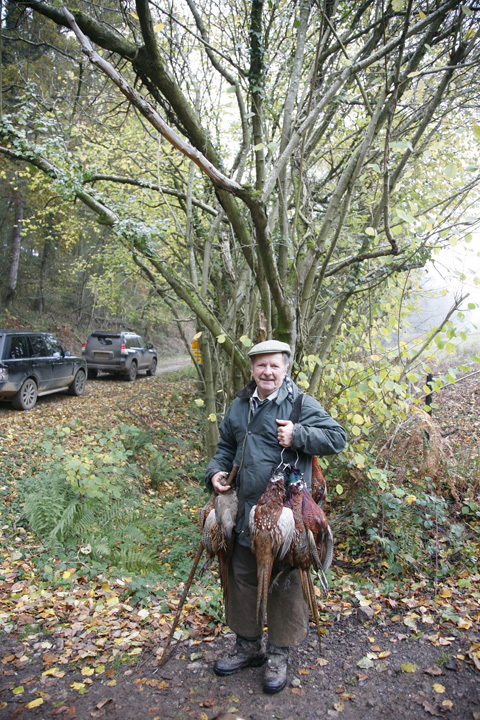 Then, as now, the shoot underwent a major transformation; a massive tree-planting programme in the 1950s and a move into commercial pheasant shooting two years ago. 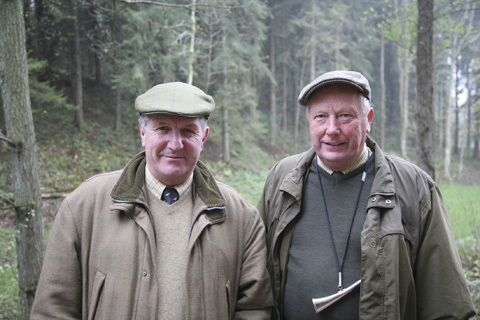 And while it is fitting Mervyn be at the head of this move into commercial pheasant shooting, he counts heavily on the efforts and opinions of Neil, headkeeper Richard Freeman and Emma to see in the changes necessary to turn the 1,000 acres of this former family shoot into a recognisable name that hosted 38 pheasant shooting days last season. In 1962, The Times described Bishopswood as ‘a sportsman’s paradise’. The shoot’s pastureland and steep wooded valleys are used to good effect 50 years later, not least on Pritchard, a sweeping expanse of a drive bordered by maize where the birds fanned out from several rides both at speed and in enough numbers to remind guns to choose their targets wisely. Guns were pegged far apart, fairly close to the woods from which their quarry flew in near silence, complementing the eerie quiet around this swathe of land. Neil Sollis (left) with Bishopswood owner Mervyn Freeman. Neil mentioned a short-lived experiment on Pritchard whereby guns were pegged in a crater-like quarry on its right-hand side – probably scrapped because one can only see the sky from the quarry bottom and would need to rely on the ears of an eagle and reflexes of a jungle cat to get anywhere near the birds passing overhead. Guns sample a drop of Bishopswood’s very own sloe gin. The sport on Pritchard was prolific for a number of reasons; it was unwise to labour when reloading, there was no real order to where the birds would come from; and just to add a little zest ducks occasionally appeared quite suddenly at impossible angles. If Pritchard got the guns talking, goodness only knows what was going through their heads on the affectionately named Sweet Glen (my favourite) deep in the bowels of a valley tended to with great care. Were the land unkempt it would be an insult to the birds rocketing across it like a thousand arrows in a forgotten medieval battle. My initial position, to the far right end of Sweet Glen, meant I could see three pegs; one on a stream bank, one on the mud track running through the drive and another perched farther up the bank side. At first things were slow, beaters blanking the wood coaxing the odd low bird, or a single shot in the distance breaking the silence. Sweet Glen was the highlight of the day for many guns. 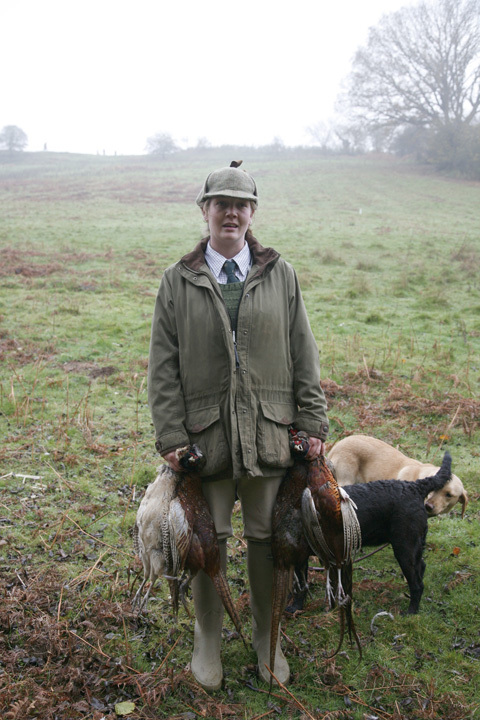 Then, chaos – a quartet of pheasants breaking over the line were chased by almost three-dozen others. Guns gripped their fore-ends and began to swing their barrels skyward; as more pheasants came it was almost as though the line was under attack. Wave after wave streamed high across the three guns and for a solid minute the rhythm of breeches closing and cartridges discharging was so disciplined you could almost tap your foot to it. Ian Wilson was kept busy throughout the day. One gun in particular must have felt as though he was being singled out. While others were twisting around like an outside-half riding a tackle, all he needed to do was keep cool as more and more pheasants darkened his peg. They came so frequently it was often possible to have two birds dead in the air, and be looking for a third before they hit the ground. And his over-under well and truly earned its keep under this challenge. The guns who profited most from Sweet Glen were those with dexterous reloading fingers; every single bird hit was one to crow about over dinner at the house, so anyone who let adrenaline get the most of them was left frustrated. The day’s pheasant shooting finished strongly on Ram Gully, which to the untrained eye was still Sweet Glen, but with the majority of the pegs moved farther over to the left. As the horn signalled the end of the drive and the day one gun jokingly asked headkeeper Richard if he had given the birds flak jackets, since he couldn’t shoot a single one. As the other 4x4s climbed out of the valley and towards the main house for tea, Neil said he thought the day had been a success, something of an understatement but his modesty did him credit. With such a varied landscape Bishopswood’s future looks encouraging, and it would be fascinating to come here in five years to see how things have developed.The team has a good blend of youth and experience, each bringing different strengths, and so it is well positioned to ride the ups and downs which will no doubt be a part of progress. The secluded nature and sheer beauty of the estate mean it’s a pleasure to just be there, and yet it is only eight miles from the M50. And, in Bishopswood House, there is a pre- and post-shoot day base where old world charm isn’t ruined by stuffy customs or protocols, and where play never really has to end. Any shoot that comes with its own house capable of catering for 27 guests over 16 rooms is going to catch the attention of travelling guns. The house, built in 1844 by and for John Partridge, who was once High Sheriff of Monmouthshire, is rich in Gothic character even more so on the murkiest of shoot days. The Grand Hall, which boasts a glass doom in its ceiling, is home to a staircase thought to have been designed by noted architect Sir Christopher Wren. Each of the bedrooms is in keeping with the character of the building: a safe but sensible step which avoids the sometimes clumsy marriage or old and new. There is plenty of room to move around in this former rectory and so many things catch the eye, from the sporting prints on the elaborate wallpaper to the rose garden outside. Had the sky been clearer we would surely have been afforded views of the Wye Valley in all its varying shades of green. 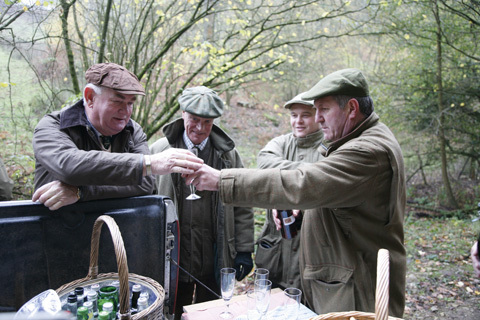 Shooting packages include stalking and coarse fishing, and everything from car valet and loaders to helicopter transfer and shopping trips for non-shooting guests in between. The house and bar are managed by Mervyn’s daughter, Rebecca, on shoot days (try the estate’s own sloe gin), and should guests be unable to dine at Bishopswood House the Freeman family also own The Mill Race pub three miles away in Walford.